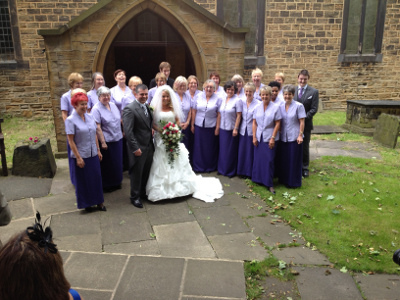 Vocal Expression Ladies Choir regularly perform at wedding services in Holmfirth, Huddersfeild and around West Yorkshire. Find out more and book our choir. Your wedding day is special and will be one you always remember. Music sung by Vocal Expressions Ladies Choir helps you make it even more memorable. 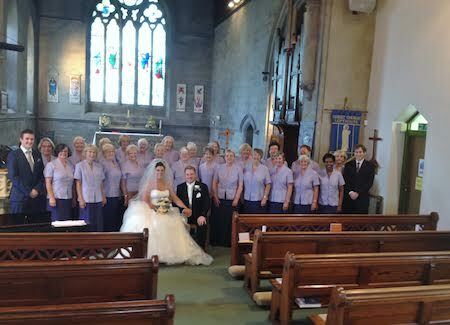 Our wedding coordinator will liaise with you throughout your involvement with us, helping you to choose songs from our extensive repertoire, to be sung at specific times during the service, plus assist the congregation to sing the hymns. 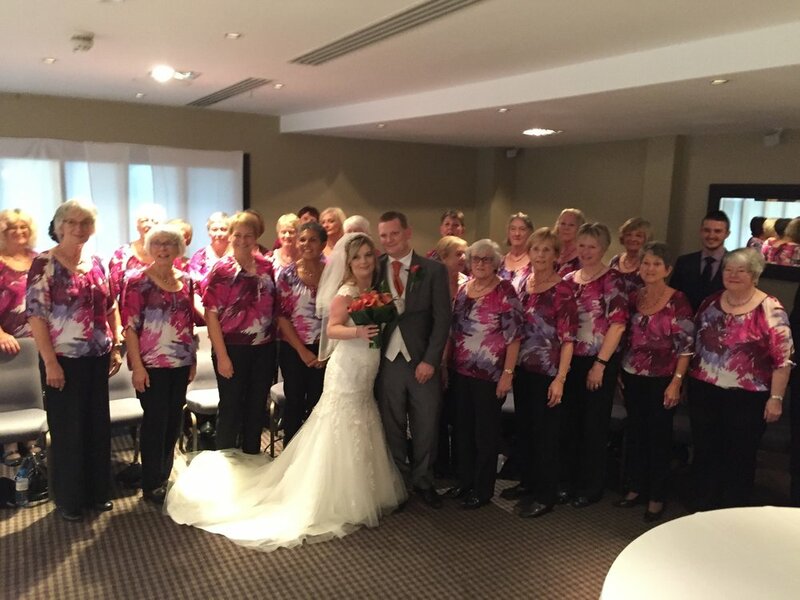 If you would like more details about booking the choir to sing at your wedding, please use the form below, or contact Kay Melia at kay.melia@tiscali.co.uk or 07808 181741. 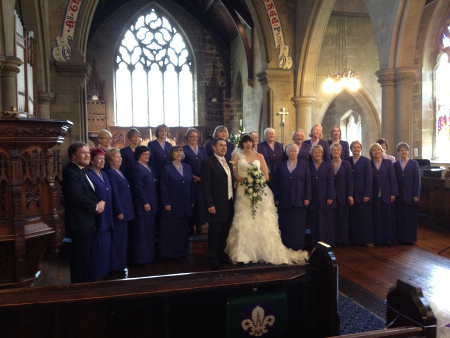 Please enter the names of any songs from our repertoire that you would like to be sung during your ceremony. When Would you Like the Choir to Sing? Thank you for your wedding booking enquiry. We will be in touch soon.